Buddhism is the world’s oldest missionary religion. Since its beginnings some 2,500 years ago in northern India, it has spread to nearly every region of the world. There are now more than 350 million Buddhists in the world, most of whom belong to one or the other of the 2 major schools: the Mahayana and the Theravada. About 98 percent of the world’s Buddhists can be found in Asia, but there are significant Buddhist communities throughout Europe, North America, and Australia. There are Buddhists who are poor rice farmers in Malaysia and who are wealthy business owners in Chicago. expanding to adapt to many different cultural, linguistic, and geographical settings, incorporating local beliefs and practices, and shifting to accommodate often fluid social and political contexts. The Buddhist tradition thus displays an incredible variety of beliefs and practices. There is no central Buddhist organization, single authoritative text, or simple set of defining practices. Buddhism is, to its core, a pluralistic religion. These elements include beliefs and traditions that, although perhaps slightly different depending on their specific settings, could be recognized and practiced by all Buddhists. Buddhists can be heard chanting these lines in Colombo, Bangkok, Beijing, Sidney, Rome, or Los Angeles. Certain core philosophical tenets and beliefs that cut across the Buddhist world include Karma, Nirvāna, and renunciation. While attention must be paid to the diverse contexts, beliefs, and practices of Buddhism, the Buddhist tradition as a whole can also be fruitfully examined. Perhaps the single most significant unifying factor for the world’s diverse Buddhist populations is the figure of the Buddha himself, Siddhārtha Gautama. Although the various schools of Buddhism have different specific understandings of and attitudes toward the Buddha, each of them, without exception, recognizes, respects, and reveres him. 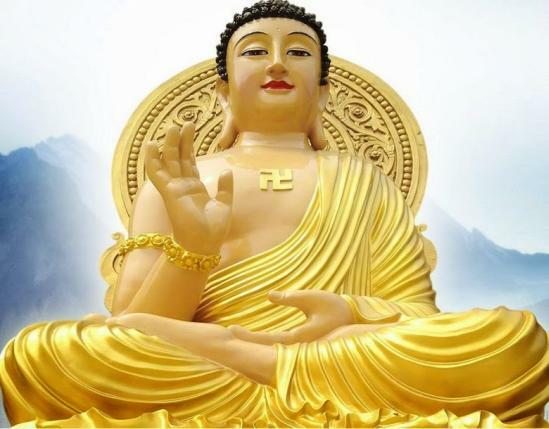 What makes the Buddha so significant in Buddhism is not simply that he is the founder of the religion but also that he serves as the template for every Buddhist, the model for the life of the individual. rather, one must strive to be like the Buddha—to replicate his life.